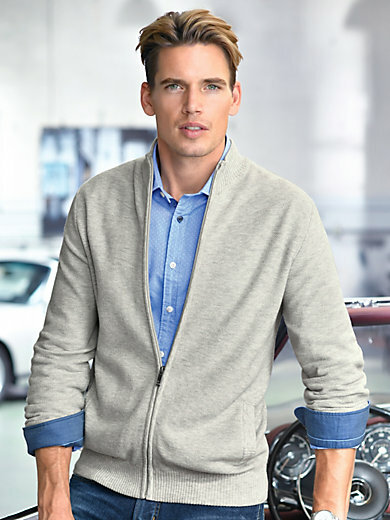 Cardigan by LOUIS SAYN – an essential classic for the sporty leisure look with a honeycomb texture in particularly high-quality natural material. With a high-closing turtleneck collar, front zip, 2 welt pockets and shape-retaining cuffs. 55% new milled wool, 45% cotton. The cardigan is machine washable.